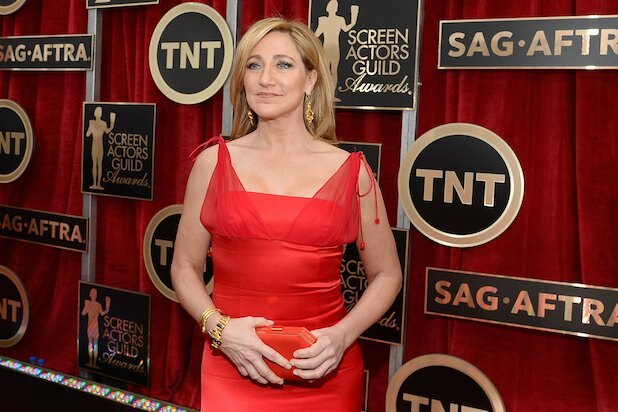 With her Emmy nomination Thursday for “Nurse Jackie,” Edie Falco now ties Angela Lansbury as the actress who has earned the most Best Actress nods in drama and comedy series combined. The British actress also earned six other nominations for movies, specials and guest appearances — but has never won an Emmy. "Empire" skyrocketed to become TV's top-rated drama in its freshman year, but apparently that wasn't good enough for the Academy. Surprise: Tatiana Maslany, "Orphan Black,"
Tatiana Maslany finally got an Emmy nod, and it only took her playing eight characters on one show to get it. "The Big Bang Theory" has become almost an automatic nomination, and while it's nice to see new blood, we didn't necessarily expect it. Surprise: Anthony Anderson (pictured left), "Black-ish"
Fresh off hosting the "BET Awards," Anthony Anderson scored his first Primetime Emmy nomination for the breakout ABC comedy. To be fair, "Hang Time" was on Saturday mornings. Snub: Julianna Margulies, "The Good Wife"
It's 2013 all over again for last year's Best Actress winner Juliana Margulies. The Golden Globes didn't forget her -- what's up, TV Academy? Snub: Jim Parsons, "The Big Bang Theory"
Rough one for "BBT" and its resident all-star Jim Parsons and four-time winner. His six-year nomination streak ends exactly right there. 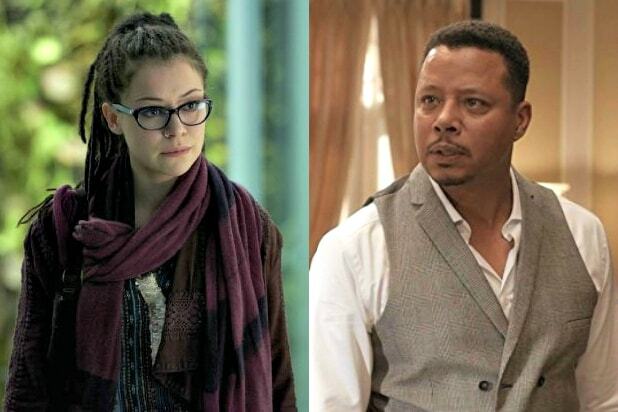 Voters showed the love for Taraji P. Henson's Cookie, but nothing for Lucious? Terrence Howard had a super-busy year -- he has two TV shows on Fox alone -- but he's still seeking his first Emmy recognition. Surprise: Keegan-Michael Key (pictured left), "Key & Peele"
The chrome-domed comic gained fame for playing Luther, President Obama's "anger translator," and now he has an Emmy nod to show for it. Snub: Maggie Smith, "Downton Abbey"
The veteran actress won the award for the first two seasons of the historical drama and earned noms for the last two -- but her Dowager Countess was abandoned after season 5. Snub: Mandy Patinkin (pictured right), "Homeland"
Though "Homeland" returned to the Best Drama race, Patinkin was passed over after getting nominations for the last two years. Surprise: Michael Kelly, "House of Cards"
The character actor scored his first Emmy nomination for playing political fixer Doug Stamper in Netflix's Washington, D.C.-set drama. Starz had high hopes for the LeBron James-produced drama about a rookie NBA player -- but fell short of the rim. The rookie series earned recognition from the Golden Globes and the Critics Choice Television Awards, but the Emmys continue to have a bias against CW shows. While "Transparent" stars Jeffrey Tambor and Gaby Hoffman both got noms, the Academy overlooked the former "Ugly Betty" nominee who plays the ex-wife of Tambor's late-in-life transgender woman. Surprise: Niecy Nash, "Getting On"
The actress is the lone nomination for the critically acclaimed but low-buzz HBO sitcom, which is set in a hospital's geriatric care unit. Snub: Jesse Tyler Ferguson (pictured right) and Eric Stonestreet (left), "Modern Family"
Though "Modern Family" scored its sixth straight nom for Best Comedy, several members of its much-honored cast got the could shoulder, including five-time nominee Jesse Tyler Ferguson and three-time nominee (and two-time winner) Eric Stonestreet. Under Academy rules, the number of nominees can grow if additional contenders are within 2 percent of the votes of the sixth (and final) nominee. So an already competitive category is bursting with familiar names (Julie Bowen, Mayim Bialik, Allison Janney) as well as newcomers (Niedy Nash, Gaby Hoffman, Kate McKinnon).